Exodus 34:7 teaches that there will be a propensity toward either righteousness or sin being passed down from generation to generation. In different areas of life, people are blessed and do well because of Godly family influences. 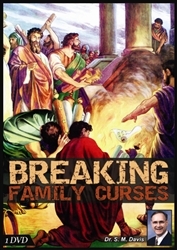 In other areas they struggle because of evil family influences. Chains of bitterness, dishonesty, selfishness, pride, divorce, immorality, laziness, or rebellion pass down from grandfather to father to son to grandson, etc. Loyalty, faithfulness, kindness, honesty, joy, character, etc. also pass down! King Asa saw a curse of bitterness, stubbornness, rebellion and idolatry in his family lineage then took desperate steps to break the curse–beginning a lineage of blessings!